She knows how much I'm into art, and so she helps me maintain a bit of diversity in my art collection by gifting me with works from other artists. 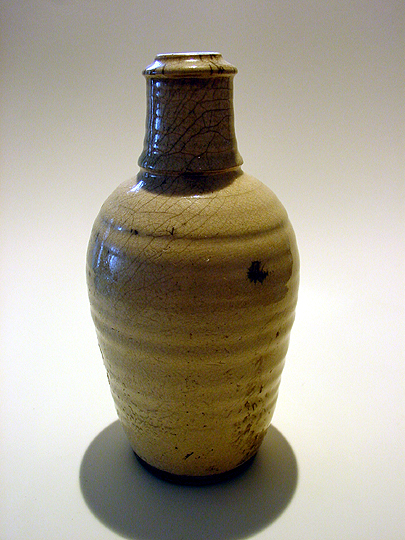 Anyway, this bottle is very nice, especially since it has the look of a very old piece of pottery. This effect is achieved by using a clear raku glaze that cools more rapidly than the pottery itself... the result is the cracked appearance.